Sarah Anna Psalti, known as Sarah P., is a singer, songwriter and actress hailing from Greece. Her music career started in 2010, as the frontwoman of the Athenean dream pop duet Keep Shelly in Athens. After she parted ways with the band in early 2014, she relocated to Berlin to start fresh. Sarah P. has collaborated with many artists, including Sun Glitters, Mmoths, The New Division and many more. Her own music is minimalistic and inspired from nineties sounds. The genre she identifies with is Pop/R’n’B. While having a sinister music touch, her positive intentions deliver a clear message. Sarah P. is not just a person, but a movement that empowers every single person who’s about to begin new. With her music she invites everyone to pack the bad memories in a box and start a journey towards becoming their own dream heroes. Today Sarah P. has her birthday (#TeamDec14) and she celebrates it by releasing her debut solo EP, called “Free“. We caught up with Sarah for a small chat about “Free”, her musical influences and her next plans. Read our q&a session and make sure to stream “Free EP” in its entirety below. Zac: Singer, songwriter and actress. How do you manage your time? Sarah: I combine them all! Let’s be real, I haven’t done that much acting, but only a couple of things here’s and there’s. I kind of miss it, but being an actor means you should be dedicated to your art more than 100% and I cannot promise that. I’d say that I’m an artist and because of the fact the music industry is really fucked up, I’ve become my own promoter, label, etc. I have reached a point that I simply don’t want to give away the control – I know exactly what I want and it’s easier (and faster) for me to just go for it. If I’m changing hats between different positions, that’s my art, its promotion and EraseRestart. My team and me are the definition of DIY and it’s true that sometimes we lose the track of time. So, to answer your question, I always feel that I have no time. I pretty much work 24/7 to keep up with everything. Zac: When did your music journey begin? Where do your musical influences come from? Sarah: My parents blew inside me their love for the music. They were taking me to all places were good music was played – whether that was a bar, a club or a concert venue. They were always taking me with them. They also signed me up for piano and keyboards lessons that I followed till the point that I felt too cool for it (that’s one of the few things that if I could go back in time and talk to my younger self, I’d tell her to get herself together). I was also part of choirs, like during all my school years. As for my influences, all kinds of music have had a certain impact on me – from the cheesiest pop to classic music. If I had to pick a music genre that’s somehow shaped me that would be post-punk/dark wave. That’s the music that I always put on to relax, feel better and unload. Zac: Tell us more about your debut EP, what “Free” means to you? Which is your favorite song? Sarah: “Free” is like an anthology. It’s all about joining the actual adulthood, freeing yourself from the past and taking all matters to your own hands. Growing up comes at different points for each and every of us – it has nothing to do we the actual age, that’s just a number! “Free” is a really personal album and at the same time a call to its listeners to get off their couches, get out of their comfort zone and live their dreams. It’s calling them to be the people who they want to be. My generation has lost its focus. We live fast, work hard but get paid too less and go with the flow, expecting to grow old and die. We stopped fighting because we think that we don’t have the time for it. “Free” and myself as a human being living on planet earth aim to be this call to action. On the EP, I’m reporting the decision making and the (sometimes rough) journey of mine to reach where I am now. Nobody said it’s easy to be free! All songs mean something special to me. I love “I’d Go” because it sounds naive but it’s super cheeky (if you pay attention to the lyrics). But it’s hard to choose.. “Little Soul” is a difficult song, but whenever I sing it I get so emotional because it is super personal and takes me back to really hard times. “Golden Deer” is a song we made together with Greek artist/producer/talented man Hiras and it’s also special since it serves as the “catharsis” of the EP. I cannot pick just one! Zac: Which is the ideal place to listen to your music? Sarah: Wherever it feels like home. Zac: Athens, Berlin. Which city inspires you most? Sarah: I’m an Athenean. I am born and raised in Athens and lived there till I was 24. Athens will always inspire me and in my opinion it’s one of the most special places in the world. Greece, in general, is one of the most special places in the world. My “Greekness” will never wear off, you know? From the other hand, Berlin is still somehow new to me and I have to admit that’s truly inspiring. I don’t go out that often, but the area I live is a new age Babel. Multi-culti, international and a bit crazy. Strangely, it reminds me of Athens and sometimes I see no difference. I feel that I am in the same city. On top of it all, wherever I go I hear Greek – like everywhere. It doesn’t really feel I’ve moved away. Athens is in my heart and Berlin has become my new home. Both cities are charming in their own way and inspiring because they’re heavenly, but in a sleazy way. Zac: Which are your favorite tracks/artists at the moment? Sarah: My favorite album of the year is the one that Editors made. I’ve been listening to “In Dream” obsessively. It is the only album of the last years that I can listen to it from the top to the end and not skip a tune. Zac: What was the first record/album you bought? Sarah: It was “Xessaloniki” by the amazing Greek band Xylina Spathia. Zac: How do you chill out? Sarah: I never chill out. I am always kind of intense. I am not a chill person, I don’t want to be a chill person. Music can calm me down, but “calm me down” like, for my standards. Zac: What’s next? Should we expect a LP too? Any new collaborations? Sarah: My album will come out in 2016, yes. It’s in the making! Touring with my band mates is something I’m looking forward to because I’ve missed the stage. As for collaborations, there are things coming up, there are talks but there’s nothing to announce already. Zac: What are you most excited about right now? Sarah: Playing my songs live, recording the LP and living fully this moment. This album, EraseRestart and the new version/direction of mine (artistically), mark the beginning of a beautiful journey. Sarah P.’s solo debut EP “Free” is out on Dec 14th 2015 via EraseRestart. To get a digital copy of the EP follow this link. To order one of the few vinyls pressed via ERASERESTART go here. Tags: ERASERESTART, greek, interview, sarah p.
A Parisian DJ-producer who set up base in the British capital, Jerry Bouthier is first and foremost a busy dj strikingly passionate about music in all its forms. His ties with Continental Records, Vivienne Westwood, Kitsuné, BoomBox/Ponystep etc have made his name a fixture in the fashion world and beyond, from London to Paris, Milan to Tokyo. 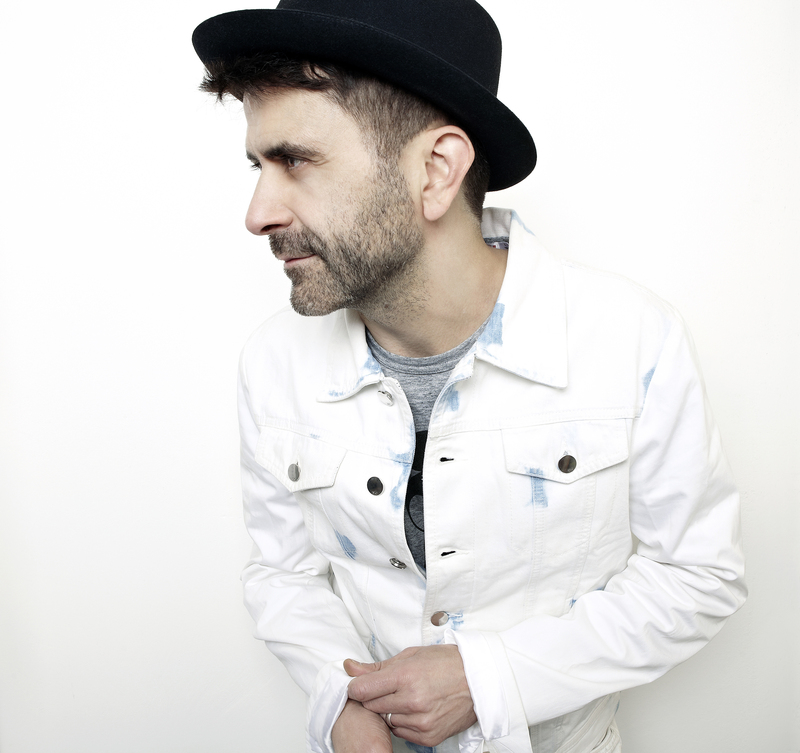 Originally a club dj for whom unsurprisingly it is essentially about making people dance, Bouthier – always open to a wide range of music sensibilities and schools of thoughts – developed a challenging approach focusing on heart-melting emotions and tantalizing, at times hypnotic, atmospheres while remaining funky and danceable. His latest mix/compilation is ‘Kitsuné Trip Mode’, a different kind of dj mix inspired by the escapists’ moods of the catwalk and supported by the prestigious online concept store Net A Porter, which is out next week on Kitsuné, the groundbreaking Parisian label renowned for fusing music and fashion under one stylish roof. Today, Jerry Bouthier stops at SerialGK for a little chat about music, influences, fashion shows and his next plans. Read our interview below and get to know him better. He’s definitely an artist worth keeping an eye on. Zac: DJ, producer, music director, label owner, fashion soundtracks! How do you manage your time? What made you decide to turn to music in the first place? Where do your musical influences come from? “I owe it to my parents who were big music fans. There were always lots of records at home, and good ones too, psychedelic, soul, pop… soon enough I started to collect my favourites. By the age of 13 I probably owned over 100 albums. It helped that one of my dad’s best friends was music journalist for one of the main French newspapers receiving tons of promos. We used to go to his some Sundays and come home with bagful of vinyl, the nutter would dispose of them in his rubbish shoot. His caretaker had worked it out and was selling them off! I’ve always felt it was a good thing to move on with the times, as long as new stuff is exciting me and there always is – particularly in this day and age with so much out there. Although there can be pretty lean times too, that’s how it goes, things change all the time for better… or worse. Your new dj-mix compilation for Kitsuné is inspired by “the escapists’ moods of the catwalk”. Tell us more. How did you chose the tracks? Which is your favourite one? “After a few years producing soundtracks for fashion shows, I noticed the process of mixing tracks together was quite different from doing a dj mix. For a start in fashion shows it’s not about making people dance, you’re less drawn to songs and vocals, there can be a few but it’s the mood, the successive atmospheres, that matter most because you don’t want to distract too much from the clothes. At the same time the musical backdrop is make or break at a show as it can truly mess things up and ruin the designer’s vibe if wrong. So you end up cutting and splicing bits of tunes, focussing on one breakdown or a particular line, and often you end up getting rid of the rest and totally rejigging the tracks around to cater for your needs. It opened up my mind in a big way. Although when I dj I always try to be as eclectic as possible cos I enjoy much stuff and don’t see the point in dividing music, I noticed that with this approach, I could blend in almost anything in the mix (thanks to Vivienne Westwood and other luminaries always pushing the threshold), electronic genres I wouldn’t play out like minimal or whatever, but folk too, world music or classical even, given that the mood and melody worked in the mix. Your latest single under your project with Andrea Gorgerino, JBAG’s Through Blue, features the singer of Polish electronic band Kamp! How did you guys meet and end up making music together? Which is the ideal place to listen to your music? London, Paris. Which is your favorite destination? What’s next? Should we expect a new JBAG single soon or other releases on Continental records and Kitsune? Any fashion shows? “Yes keeping busy. The second part of JBAG’s single with Kamp! is out monday 1/9/14 with remixes from Mjolnir (Jakarta), Saint Pauli (Hamburg) and James Curd (Adelaide), check the instrumental finally out, it’s proved popular with djs, the song’s lovely too. More to come on Continental soon, such as the 2014 versions of ‘No Memory’, a lost cult classic from 80s discopop band Scarlet Fantastic as well as new material from Reflex, Cyclist, JBAG (we’ve started work on an album)… This year JBAG has kicked off its live DJ set thing which is me deejaying and Andrea’s playing keytar over our productions, remixes and other current faves, a bit like a gig. It’s way more interactive and entertaining than two guys behind the decks and has given us a new angle which feels comfortable and fun. Andrea’s an amazing musician, definitely JBAG’s main asset, he owns that stage! I’ve already dubbed him the Italian Jimmy Page haha. JBAG’s Through Blue (feat. Kamp!) EP1 and EP2 are out now on Continental Records. Get them here and here, respectively. JBAG’s latest “Asia tour” mixtape can be streamed here. Kitsuné Trip Mode, mixed By Jerry Bouthier is out on September 8th 2014. Stream a minimix below.